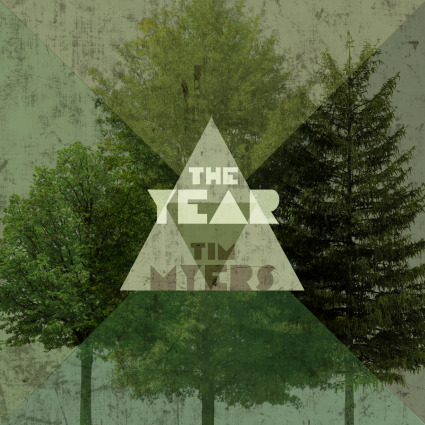 While you may have never heard the name Tim Myers, there is a good chance you have heard his music before as the former OneRepublic member has become one of the most in-demand solo artists to date over the last few years. Yes, Myers once was a prominent member of OneRepublic, but if you’re coming to his sophomore album The Year looking for the next OneRepublic album, you’re not exactly going to find what you’re looking for, because The Year is both operatic and orchestral, something different from anything the musician has written with any prior affiliation. Perhaps no better words describe Myers’ musical rebirth than those he sings in the surefire hit “April: It’s My Life,” ‘story unwritten/this chapter ends/I'm turning the page/a new one can begin.’ This Year is a concept album, one that takes the listener on the journey of a relationship through all the months of the year (each track is titled with a month of the calendar year). And just as in everyday life, the end of spring is serene and completive (“March: Hills To Climb,” “May: That’s When I Found”); the summer months joyous and altogether boisterous (“June: Good Days Start Here,” “August: “Me & My Friends”), while fall consists of moody atmospherics and expansive soundscapes (“October: Written In The Stars,” “November: The End”) and winter is soft and introspective (“December: “Somedays,” “January: “Get Out of Here”). The Year is an emotional rollercoaster, one you’ll want to not only ride over and over again, but one you’ll want to sit in the front seat for.